Myoelectric Fab Hand en los Stanford Med X Health Care Design Awards. El proyecto Myoelectric Fab Hand desarrollado por FabLab Madrid CEU en colaboración con Enabling the Future ha sido nominado para los Stanford Medicine X Health Care Design Awards 2016 en la categoría Collaboration in Health Care donde se premia un proyecto orientado al campo de la salud en cuyo diseño y fabricación destaque la implicación entre las distintos agentes involucrados: centros de investigación, pacientes y personal médico. The idea for the project began after two years collaborating with the organization Enabling the Future. Our lab is making some prosthetic hands for children in Spain that have no access to a conventional one because of their high cost. 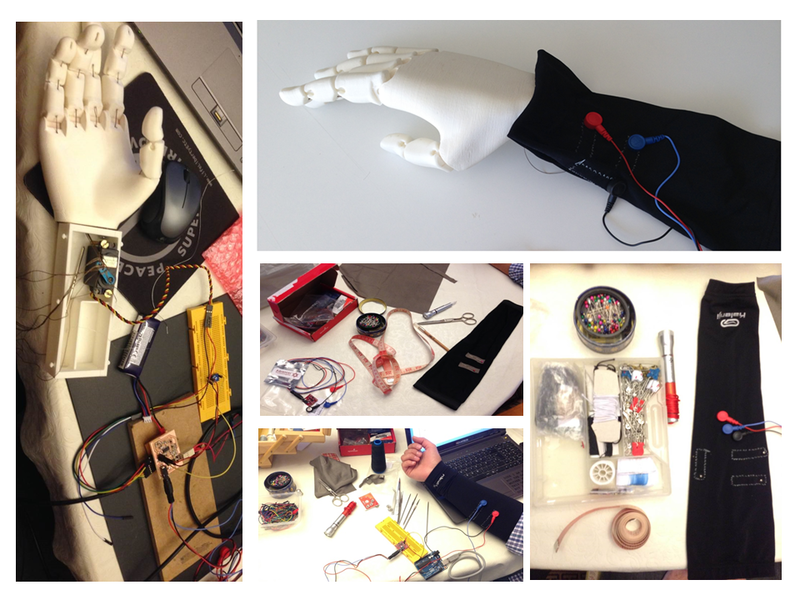 We are collaborating with Enabling not only as makers but as designers so we are trying to develop some improvements on the hands they upload in their website according to our experience making some of them in the FabLab. The Myoelectric Fab Hand that we have designed and fabricated is inspired on the Limbitless Arm by Enabling, but we made some changes to improve it. For example, our hand is not using Arduino. 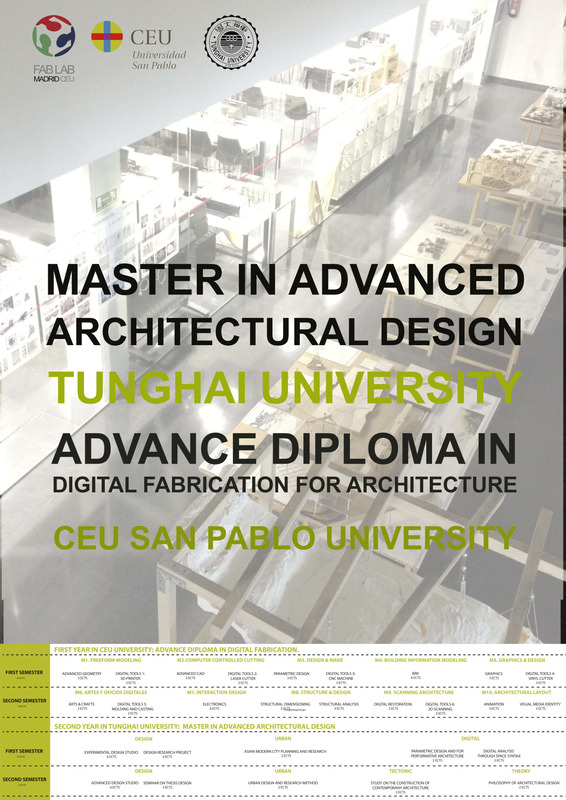 We have designed and fabricated the electronics using the technology of the Fablab. As all the Fablabs in the world share the same technology, we are sure that it will be fabricated on those places where there is an urgent need for these biomedical devices. The fabrication of the hand was made with a 3D printer (Prusa Iteration 3). Every part of the hand was printed independently (the back of the hand, phalanges, knuckles, pins and small parts) and then all of them were assembled. Once the five fingers are assembled, a cord is passed by each one of them from one end to the contrary. It will allow the extension of the phalanges. These wires act as the flexor tendons of the hand allowing the hand movement. The prosthesis has been designed for a person that lacks the hand but not the forearm. Attached to the forearm a 3D printed piece host the electronics that allows the movement of the fingers. There are also a few electrodes that are placed on the forearm muscle and go to an electromyogram sensor signal capture. 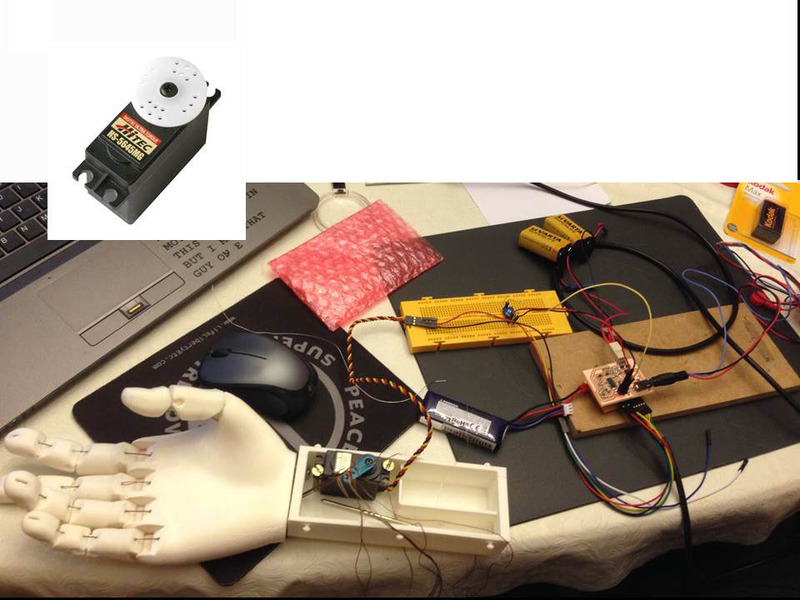 This is connected with a microcontroller so that when the muscle contracts the microcontroller tells the servo to move in a direction that allows the fingers to close and when the muscle relaxes the fingers open. Another improvement that we made to the original design is the use of strips of conductive fabric instead of suction cup electrodes so that is more easy and comfortable to use the prosthetic. These small pieces of conductive fabric are sewn to the fabric piece to transmit the electrical from the muscle to the sensor. Regarding the fingers, we have used connectors printed with flexible PLA, which considerably improves the behavior of the hand (the movement is smooth) as you can see in this video. The hand has some cords that allow the grip and the closing of the hand as you can see in the video included below. Cords pull the fingers that are knotted to the engine. The rotation of the servo allows the tension that close the hand. We have designed and fabricated the electronics for the microcontroller and the sensor using the technology of the Fablab. -A servo, which is fixed to the box and where we tied the cords of the hand. When the servo rotates it pulls the cords and the hand close. -Two boards: the one on top is for the microcontroller and the one at the bottom is for the sensor. -Two nine-volt batteries that feed the sensor. -A Lipo battery to power the motor and the microcontroller board. -and finally, the electrodes that are transmitting the signal to the microcontroller, which is the one that sends the servo to rotate so that the movement open and close the fingers. Design the circuit with Eagle and then printed with a Modela. Solder the components and program the microcontroller and the sensor. Test the sensor signal, connect it to the microcontroller and programmed it. Connect components and assembly the FabHand by adjusting the sensor to the strength of the person.